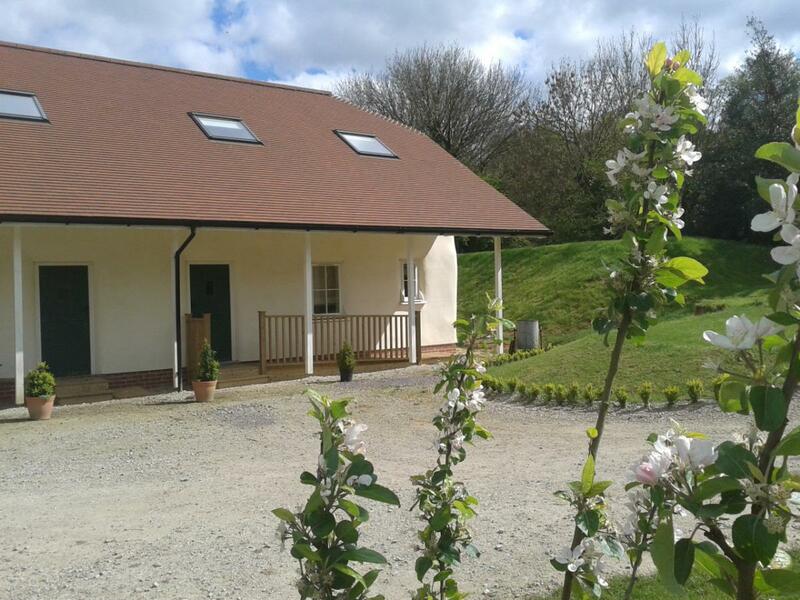 Straw Cottage is a 3 bedroom end of terrace house built of straw! Despite the bale thick insulating walls the cottage feels light and airy inside. 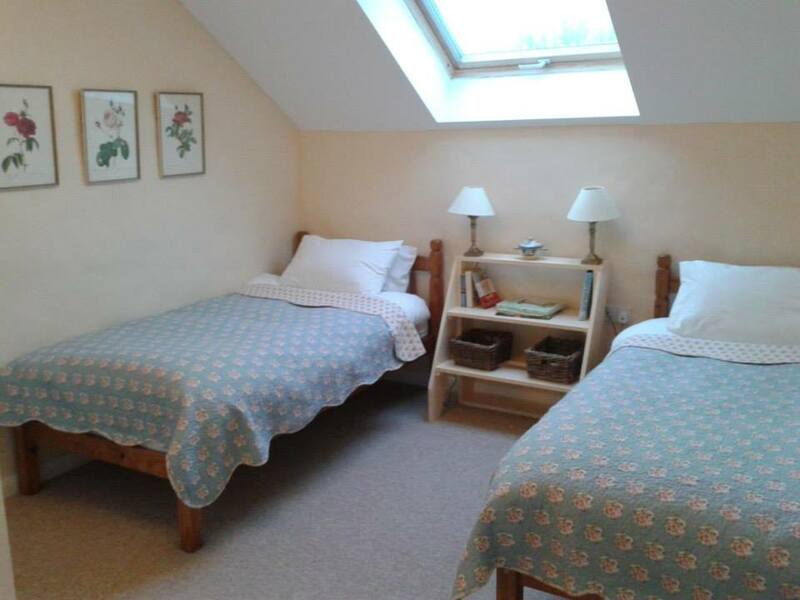 We hope you find the cottage a quiet and comfortable home from home where you can relax with your family or friends either enjoying our farm environment or using it as a base to explore the local area. 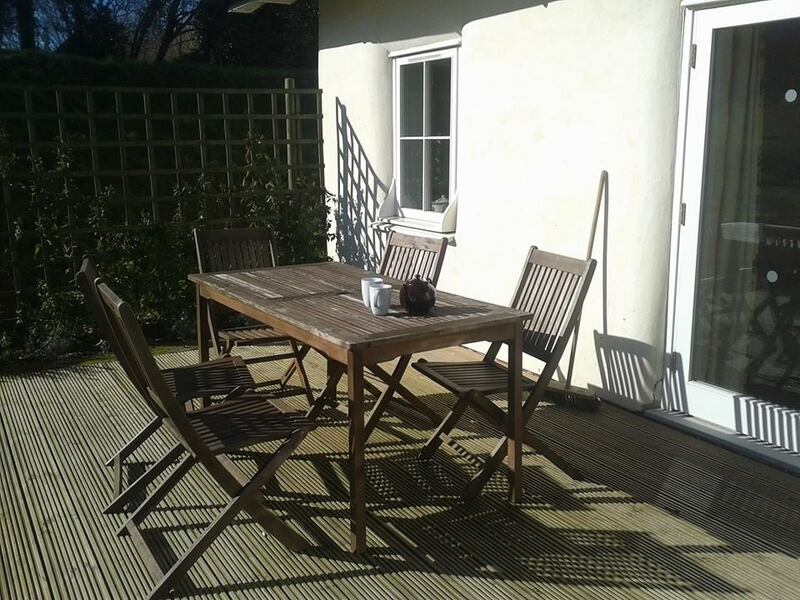 Downstairs is all underfloor heated with an open plan living/ dining room / kitchen area with large French windows leading to a decking area and a small slopping garden. 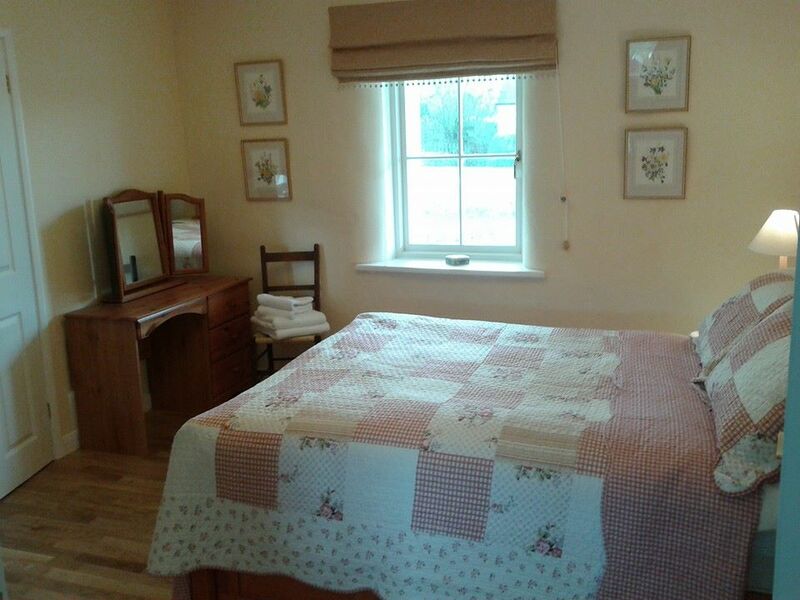 Additionally downstairs there is a double bedroom with en-suit wc/wet room. 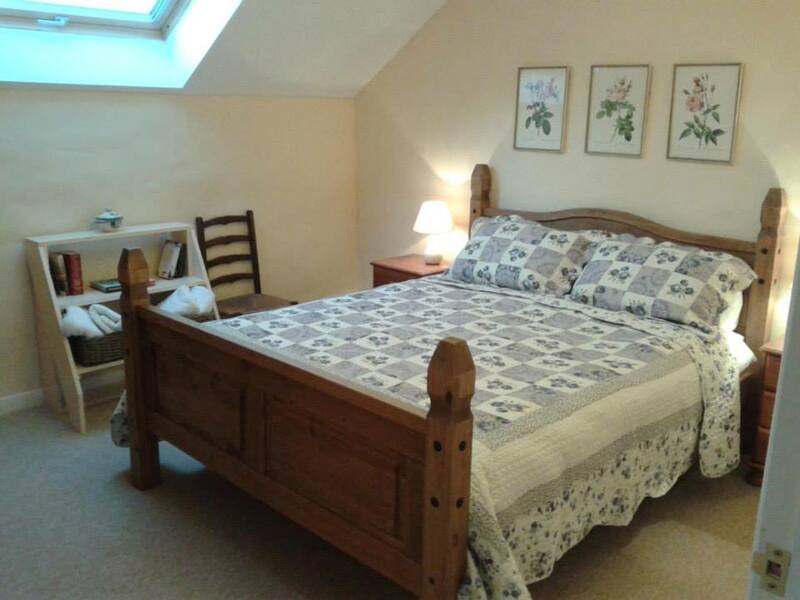 Upstairs there are 2 further bedrooms one with a king-sized bed and one two singles. There is also a bathroom upstairs with toilet, sink, bath and electric shower over the bath. 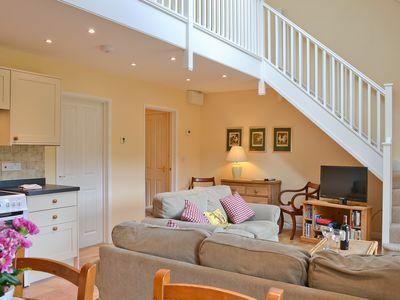 The wide landing at the top of the stairs is a lovely place to sit, looking down on the sitting room below or out to the sheep grazing in the fields. There is space for parking 2 cars directly in front of the cottage. I am sorry but we dont accept pets in Clay or Straw Cottages, but are very happy to welcome animals in Dilly and Gilt Cottages with prior arrangement.